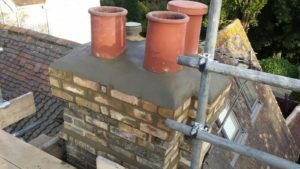 Chimney Ireland Roof Repair and chimney professional services that includes repairing, relining and rebuilding chimneys, we can offer the entire chimney diagnosis, resolution & repair package. With decades of specialist knowledge in chimney repair and relining just a phone call away you can rely on our master craftsmen to locate the cause of a problem, advise you on how best to deal with it. We are insurance approved chimney repair company and provide free estimate for the required works and carry out the necessary repairs with the minimum disruption to you and your home. We provide chimney relining & restoration on all chimney types in counties Clare, Kerry, Limerick, Galway, Mayo & Sligo. Our restoration service includes restoring, renovating, and repairing where possible. When chimney's are beyond repair we also demolish, rebuild and reline all types of chimneys. A method of chimney damage diagnosis we use a camera survey when required. A camera inspection can identify and record problems such as cracks within the flue which allow smoke to escape into the house. It provides a visual identification of damage to the flue lining which may have occurred allowing our surveyor to estimate the extent of chimney repairs required. We specialize in all chimney repairs and roof repair building solutions, we cover all areas Galway, Offaly, Tipperary, Clare, Limerick, Roscommon and Leitrim . General Property Maintenance, we are fully insured and registered. Have you a crack in your chimney? As a result of a crack in your chimney water will get in and soak into the fill surrounding your chimney flu-liners. This will then work its way down usually picking up bituminous ‘black’ material from the chimney and appearing as staining on your interior walls. I couldn't have asked for more than this." Many many thanks John. 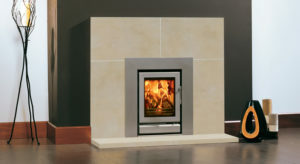 "Chimney Ireland's company has provided our home with a 1st class job fitting our new stove and such a tidy finish. Very tidy workmen and all parts of the work undertaken by their company. Thank you for the excellent work I still get compliments on how the stove looks"
"Thank you for not letting our Insurance company off the hook to cover the cost of our chimney re-lining. The CCTV camera really took any guess work away when finding the damage and I will tell friends and family alike of what a super company Chimney Ireland is ! "